The Lillebaby Essentials is a clever buckle carrier, new to the market in 2016 and jam packed with all the features you need to help you enjoy every minute of your babywearing journey. The cotton fabric panel is 100% cotton and wonderfully soft to touch. The shoulder straps on the Lillebaby Essentials are incredibly supportive and come with just the right amount of padding to grip your shoulders and make carrying even the biggest baby comfortable. The shoulder straps come complete with the incredibly well thought out Perfect Fit Adjusters, these help to create a truly customized fit and allow you to change the strap length. The straps are dual adjustable which means that you can tighten and loosen them two ways. In other words no stretching back trying to tighten straps that only pull one way. They straps on the Lillebaby Essentials can also be lowered easily if you would like to breastfeed on the go! With everything thought of, the Lillebaby Essentials also has the perfect amount of padding for where your babyÍs legs go, so it is perfectly comfortable for you and perfectly comfortable for your baby! The Lillebaby Essentials excels from other similar Soft Structured Carriers on the market as the straps can also be crossed on the back or worn ruckstyle style. Both are equally comfortable and having two options makes this the perfect buckle carrier to share between partners. Machine Washable and available in a funky range of prints. The Lillebaby Essentials can be worn in 4 ergonomic positions. Infant, Parent Facing, Hip & Back. It folds down easily so can be stowed easily at the bottom of your buggy or in your car boot. Suitable from 15 - 45lbs (from 7lbs with a newborn insert available separately) this carrier will take you all the way to toddlerhood and beyond! So letÍs just quickly list all those features for you: Easy on Buckle Carrier, Perfect Fit Straps, will take you from birth to toddlerhood, padding where it is needed most, Mesh Hood, Pockets, Funky prints, Machine Washable, Budget Price _ whatÍs not to love! 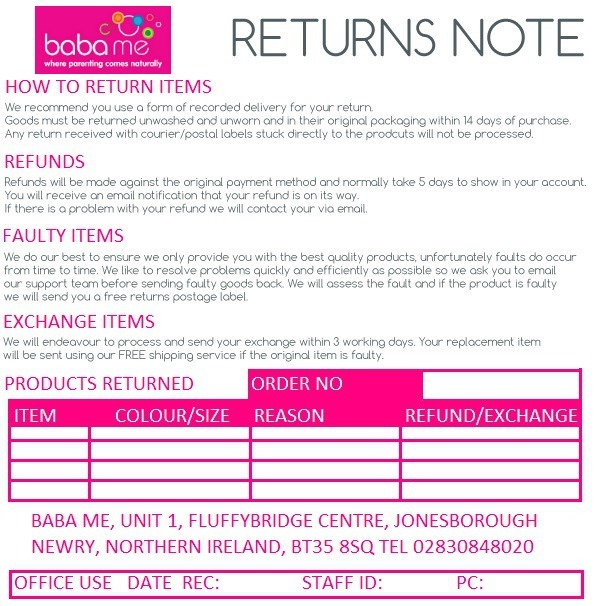 We are so proud to stock the Lillebaby Essentials at Baba Me! 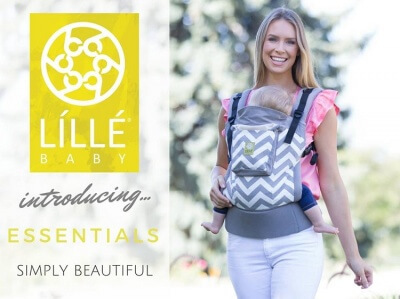 The Lillebaby Essentials carrier - all of the features, none of the faff. It has been positively received by Baby Carrying Consultants all over the UK, Ireland and North America. It already has a huge following and with new prints released every season this is one carrier to grab when you see it in stock! Less bulky than the 6 in one Lilles this is a comfortable carrier that works for older babies. Two way straps that can cross or ruck so has all the adjustability of fit of its big brother although needs an insert to be used with smaller babies as the seat does not narrow.. I bought this for my toddler for quick ups on the school run. Less bulky that the complete it fits in a bag and can be brought out when needed. Very comfortable and reliable carrier. Bought one as a ww lot and it has been invaluable with my twins. So much so I bought another one so I can back carry aswell and so daddy and I can twin too haha so easy to put on so comfortable, easy to adjust and manoeuvre and the girls are so comfortable in them they often go to sleep. They live in the car and I genuinely use them more than the two prams we have. If you are hesitant don't be. They are so versatile and long lasting. We love this baby carrier! Bought it after getting a recommendation from a friend that it was just like a Tula, but better! Love that the straps can be crossed at the back. My partner and I share it between both of us easily for our 14 month old. One of our best baby buys! This sling has to be one of my best baby purchases ever! I'm fussy when it comes to slings. I really wanted one but was too scared to use a wrap, didn't like too many buckles and straps and wanted something that I could get baby into in less than 20 seconds safely - hello lillebaby essentials! It's comfy, light and comes in a gorgeous range of fabrics and colours too. Once I set it up to sit my little one in comfortably, I could throw it on in a matter of seconds! It was perfect for shopping trips as the large pocket at the front was big enough for me to put my keys, phone and purse in! Providing I wasn't going anywhere long enough to need nappies, I was good to go! The fabric is breathable so little one doesn't get too hot and it is so versatile with its hip and back carry positions! My only regret was not getting one with a more masculine design as I found my husband wanted to use it but didn't take too well to the floral pattern. I bought this to encourage my husband to carry our little girl and to be able to carry her on my back. It is a fantastic sling and really comfortable carrying her on my front and back. My husband likes it too and has offered to carry her a few times. I find it very simple to use. I love that the shoulder straps Are dual adjustable and find I use the different ones depending if I am carrying on my front or back. I tried this carrier plus a few others at my local sling library before committing to buy. My husband and I both use this carrier and both really like it. I find it really comfortable and easy to get on and off. My husband also really likes it and says it fits him well (6ft 3). We mainly carry on our front but have tried a back carry a couple of times too, also really comfy. We got this with a 20% discount so was amazing value for money. Full price it is still a good bargain.